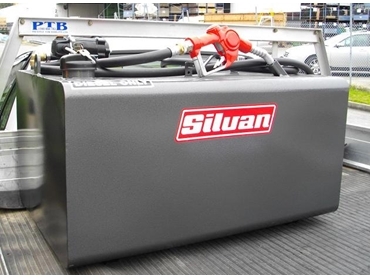 Silvan Australia offers a new range of diesel transfer systems designed to meet AS/NZS requirements. Responding to demands from councils, statutory authorities and the resource industry who are required to have a heavy duty diesel transfer unit, the Selecta Division of Silvan Australia has introduced diesel transfer systems that meet the requirements of AS/NZS 1692 ‘Steel Tanks for Flammable and Combustible Liquids’. The 300-litre capacity heavy duty diesel transfer unit from Selecta comprises of a welded steel tank and comes complete with a 12V DC-powered pump and hose delivery system. An internal bypass in the Piusi Bypass 3000 pump allows operation in bypass mode if the flow is restricted or the nozzle is shut, allowing recirculation of diesel within the pump and protecting the motor. Silvan Selecta spokesman Leigh O’Rielly says that the unit has been designed to provide a complete 300-litre capacity diesel delivery and transfer system for easy, safe handling of fuel while meeting the requirements of the relevant Australian/New Zealand Standard. The Australian Standard compliant diesel transfer system from Selecta is built with high quality components and offered as a complete professional package of tank, pump and hose system.